Why didn’t Manchester City buy Radamel Falcao? It’s one of the unexplained mysteries of the transfer market. They admire him. They would have leapt at the chance of buying him last summer. And now they go into the season with only three strikers, after letting Alvaro Negredo leave for Valencia on deadline day. It would have been one striker out; one striker in. Why not? City were certainly interested, interested enough for their director of football, Txiki Begiristain, to have discussed the Colombian with the selling club, Monaco, when he arrived in the principality for the Champions League draw last Thursday. The reason stated on Saturday for City’s decision not to proceed with the Falcao deal was the difficulty there would have been getting players off the books, to pay for him. But they did get players off their books on Monday. Negredo went off to Valencia, just like manager Manuel Pellegrini obviously suspected he would last Friday when he ducked three questions about the Spaniard’s future. Micah Richards went to Fiorentina, too. And still City did not move for Falcao. The reasons lie in the financial restrictions imposed on City this summer. We know what they were because UEFA told us about them in May when they hit the club with a penalty for breaching Financial Fair Play rules. Uefa’s detailed punishments are in the PDF linked here. City’s reporting of those sanctions were on their website. 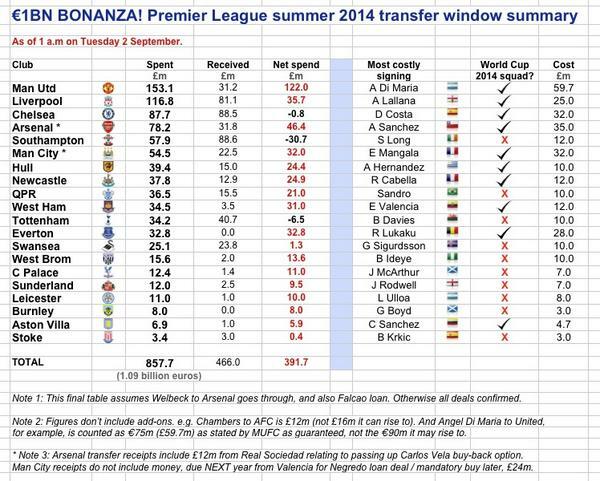 Spend no more than £49m net in this summer’s transfer window. Record losses no greater than £16m (€20) in 2013-14, and no more than £8m (€10m) in 2014-15. Avoid increasing wages in 2014-15 and 2015-16. Well, City have managed the first bit. By our calculations, they spent a net sum of around £32m in the summer transfer window. (This comes with the usual caveat around transfer fees: transparency in the vast majority of transfer fees remains a case of wishful thinking, so numbers are put together in good faith based on the best available sources. But it’s still not legally declared). If the £32m net is broadly right, then even shelling out the loan fee for Falcao – they were quoted £12m by his agent Jorge Mendes – would still have left them within the Uefa limit. The club are also on course to achieve the second aim. The club are quietly confident they reached break-even or very close for 2013-14 and these figures will become public in due course, perhaps in December or January. But the Falcao wages look as if they must have been the problem. Senior City sources have confirmed that City were quoted a £28m package by Falcao’s representatives, or a £12m loan fee plus a one-year wage bill of £16m. The total package was hefty but the £16m wages in particular wasn’t a comfortable figure for a club ordered not to increase wages in 2014-15. All of which makes Falcao the symbol of what failing the Financial Fair Play test last Spring has meant for City. Many of those who follow the Wild West world of Premier League spending consider FFP to be a tedious irrelevance. More still suggest that Uefa would be toothless when it came to introducing penalties. 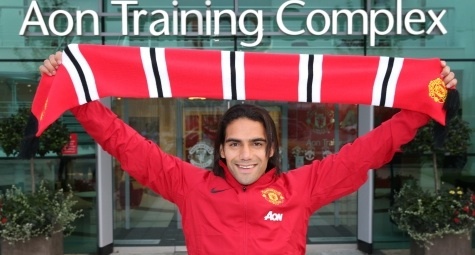 But the inability to sign Falcao may prove to be a very significant decision for City, come the end of the season. Their planning and execution of a strategy this summer has been excellent, and testimony to the value of having a sporting or technical director, as I argued in The Independent this week. Pellegrini will say that the sale of Negredo is not a problem. He will point to the midfield players at his disposal who can provide auxiliary attacking options, like David Silva and Samir Nasri. But Negredo leaving was never part of the masterplan and it still feels mighty risky to have sold him and not bought Falcao, even though the former is recovering from a broken foot and would not have been immediately available. Risky why? Because two of the three strikers left at the manager’s disposal – Stevan Jovetic and Sergio Aguero – have less-than-ideal recent injury records. The decision to let Negredo go at all is actually puzzling, too. Pellegrini, after all was arguing after the win over Liverpool that he needed four strikers to retain the Premier League title. To quote him verbatim in the minutes after that match, he said: “We need four strikers.” Then he named them: Edin Dzeko, Negredo, Jovetic, Aguero. Negredo’s loan to Valencia, like not signing Falcao, may also have been rooted in a need to get the wages down, with new contracts for Vincent Kompany, Sergio Aguero, Aleksandr Kolarov, David Silva, Samir Nasri and Edin Dzeko all taking their own salaries up. Footballers don’t sign new contracts and stay on the same wage, by and large. City’s loss was Manchester United’s gain, where Falcao is concerned. With the Old Trafford club the only suitor at the table late on Sunday, the Colombian’s move was confirmed. The loan fee was between £5m and £6m – half of what City were quoted – which only goes to show what happens when there is not a market for a player. But the biggest beneficiary from City’s loss could be Chelsea. The west London have not been hit by Uefa sanctions, of course, and on the basis of Diego Costa’s start at the club, have reason to be confident that if another close title race comes down to goal difference, they have the personnel. Even though €1bn has been spent this summer by Premier League clubs on transfers, the biggest prizes hinge on the smallest margins. 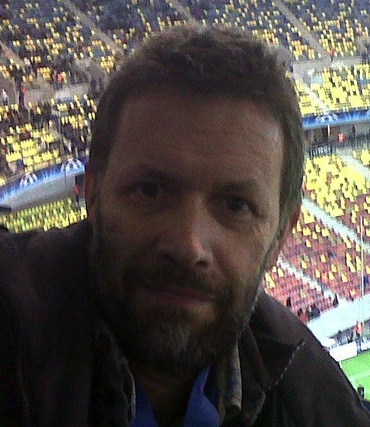 Ian Herbert, shortlisted as Sports Journalist of the Year in the prestigious Press Awards and highly commended in the SJA Sports News Reporter category is The Independent’s Northern Football Correspondent (see archive of his work here). Follow Herbie on Twitter here.